It is hard to believe that some of you have been on summer vacation for a month or more already! I taught until the end of June. 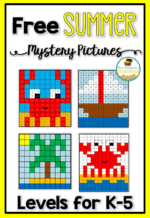 If you have your own kids at home this summer, are tutoring or homeschooling, you may like this freebie! 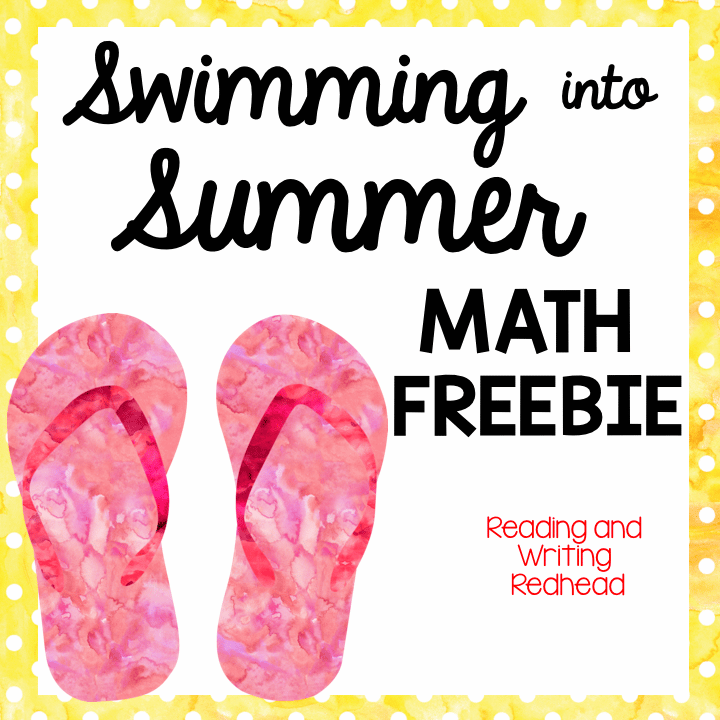 It is a free sample from my Swimming into Summer Math Pack.In the freebie, you get one of the pages from my “No Summer Slip and Slide” printables and the answer key. 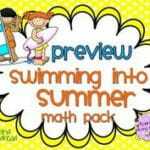 The full pack has 8 of them, one for each week of the summer, plus tons more activities. If you want, you can also just grab this and save it for next year! 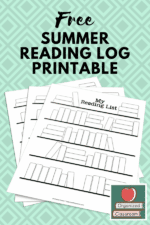 There is a Swimming into Summer Reading and Writing Pack, too. To check that out, click here. 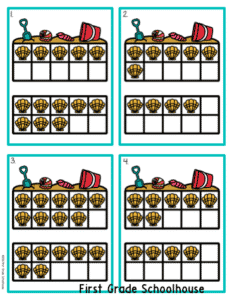 Clicking on any of the images below will get you the Swimming into Summer Math Freebie! This post originally appeared in a different form at Reading and Writing Redhead.